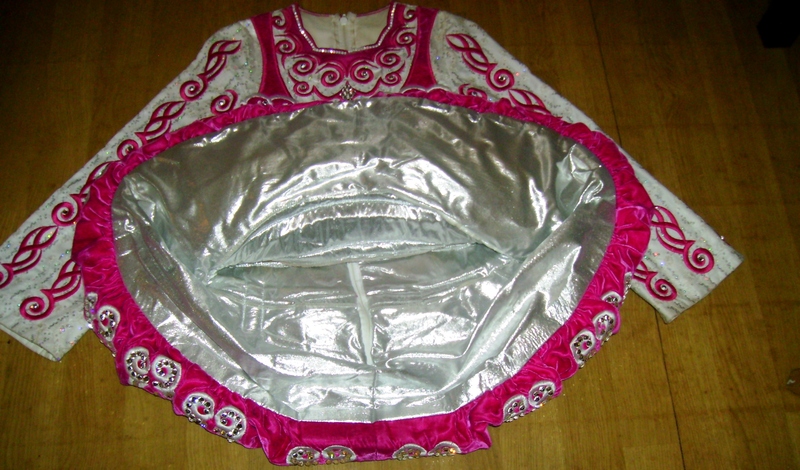 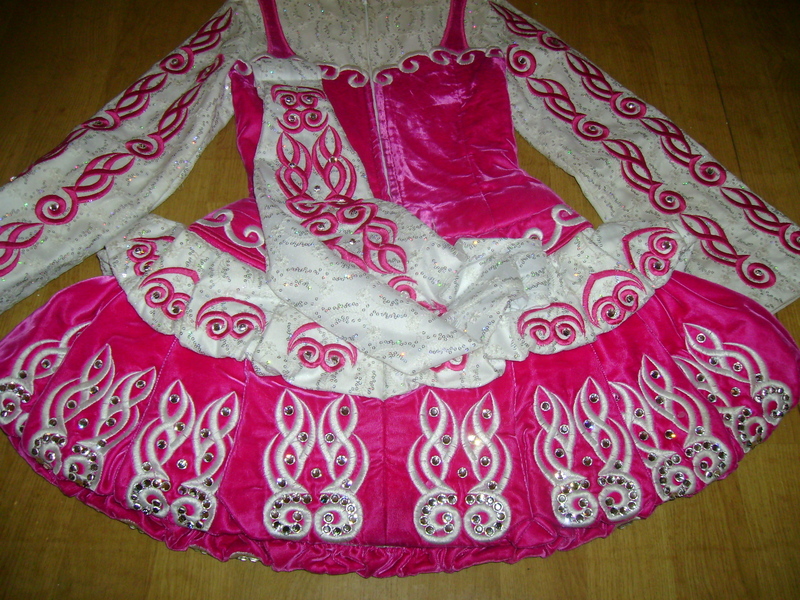 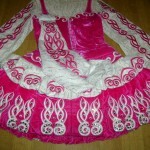 This is a beautiful Pink and white Siopa Rince dress is very good condition. 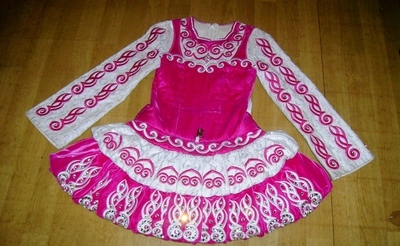 The dress has approx 1.5 inches to let down The pink is velvet and the white on the dress is an organza type. 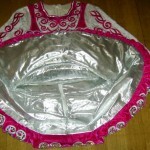 Large diamantes have been added to give extra sparkle on the dress.